What a comment. but since those comments are sincere from the virtuoso’s fans, we think that we might just create another one beautiful solo inside a catchy song. Here TheGuitarLearner.com has some words for us guitar learners to get started with learning to play the solo part/lead guitar. These are basic learn playing solo ideas summarized into steps in understanding how a guitar solo works and collaborates with music composition. If you wanna be a lead guitarist, then.. (what! chords? I wanna be a lead guitarist!…) Well then, for the best reason, the solo guitar is the projection of all what happen in a music composition. it reflects your knowledge about rhythm, tempo, music genre, everything. you can’t be soloing all the time without caring the other instruments playing those accompany your solo. if it happens, you’ll be a mess. Chords are thing continually heard along the song plays. It’s our guidance in solo playing. WE MUST LEARN at least THE BASIC CHORDS. 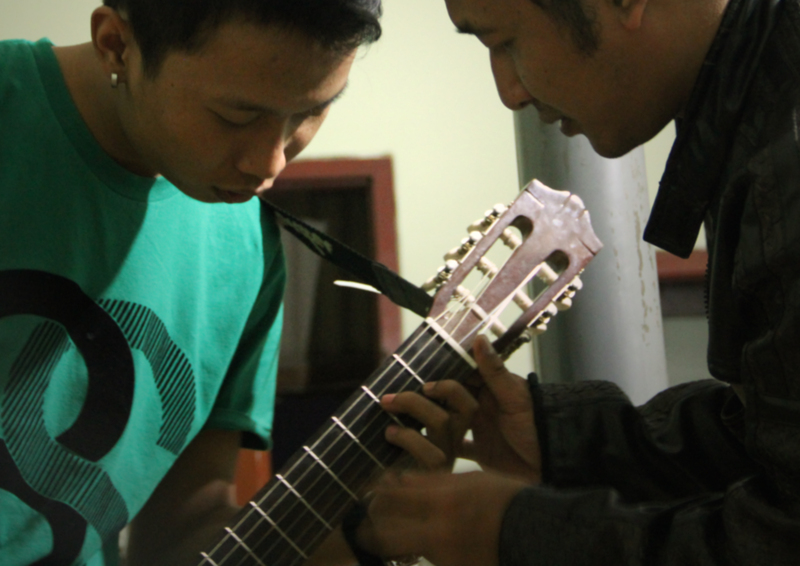 when Learning basic chords is done, we are going forward to understand and practicing scales and modes. FYI, chords are based on certain notes interval in scales, so, the combination of guitar chords knowledge and Scales understanding will lead to your great solo guitar playing. for example, when soloing the Blues scale will be best accompanied by the Dominant Chords, and we will find out more about this when learning Scales and Modes correlation to Chords progression. There’s a lot of debates about this. some people say Alternate picking is the best way to reach every notes at any tempo, the fast one mostly. it involves the down-stroke and upstroke string picking technique. well, while i admit that i use Alternate picking for my playing because it is mostly required when i wanna play fast solo or some complex riffs and it allows me to switch quickly on guitar strings, There are bunch of virtuosos using other techniques such like chicken picking and finger picking techniques and they are incredibly awesome. 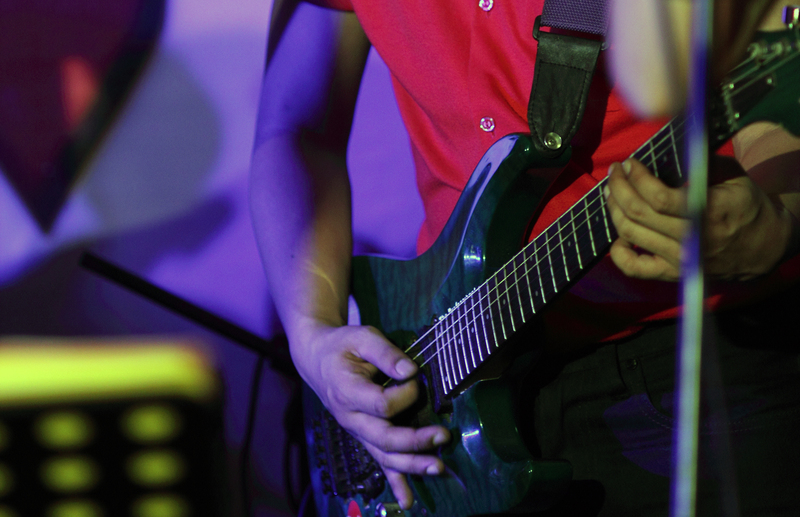 polish the solo guitar tonality with Techniques such as arpeggio string sweeping, bending, hammer-ons and pull-offs, slides and palm muting. Get more more advanced techniques such as tapping, harmonics and string skipping to enrich your solos. while others say practice makes perfect, we prefer that practice will opens up thousands of possibility in solo guitar playing. one perfect solo guitar playing in a song isn’t enough for all-time achievement. we need to make sure the perfection is possible to be reached at any time, any moment, any tempo, any song, Anything. Alright then. are you ready to spice up your solo?